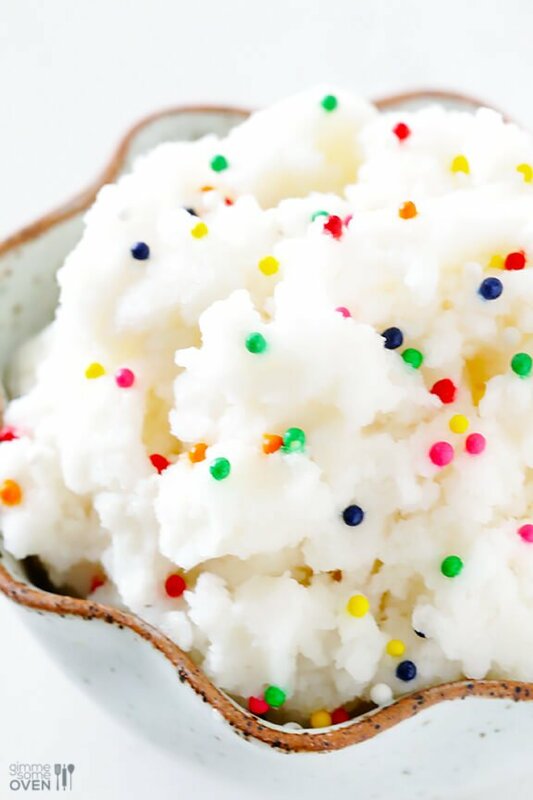 If you’re never made snow ice cream before, it literally couldn’t be easier. 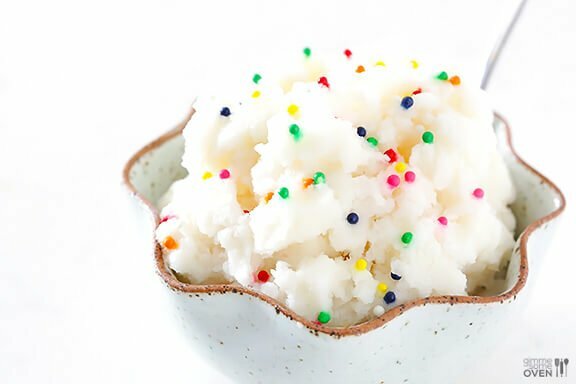 All you need are 4 simple ingredients (that I’m sure are already in your kitchen), about 5 minutes, and maybe a few sprinkles to throw on top for extra fun. I decided to make a batch for a spontaneous snow day Sunday breakfast today. (Yes, ice cream for breakfast.) And since I had never shared this favorite on the blog, I just typed out my fastest blog post ever to share it with you before heading to church so that everyone else having a snow day today could have a sweet treat too. 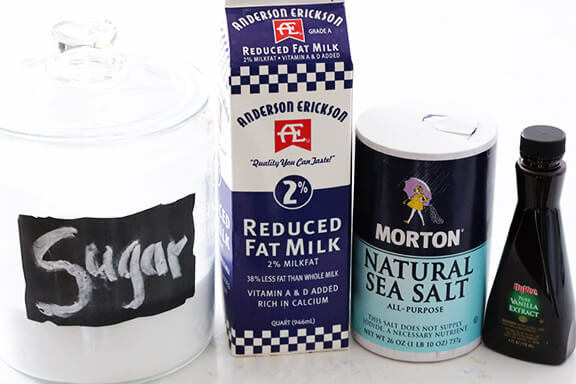 And you’ll be happy to know that — since we’re having a healthy eating month on the blog — this healthier version calls for less sugar and milk (instead of cream), and is still full of great flavor! 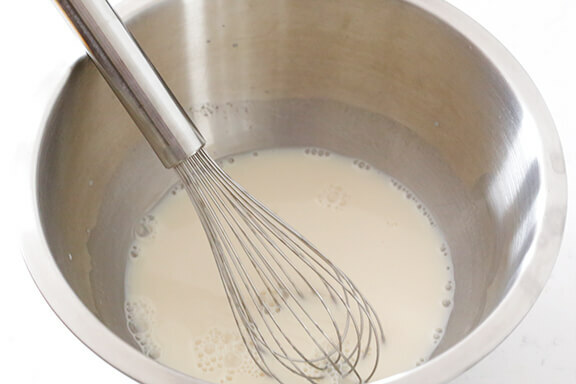 Whisk the ingredients together in a large mixing bowl until combined. Then pop the bowl in the freezer while you run outside to get your snow. 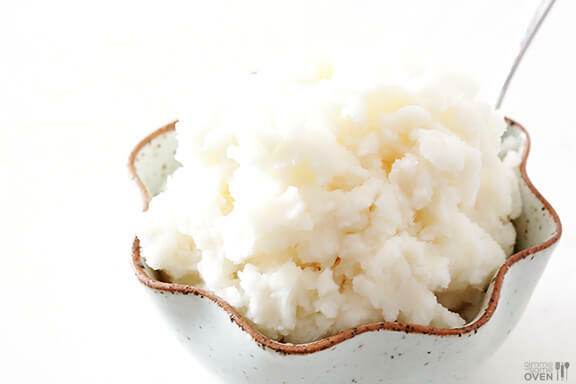 For this batch, you need about 8 cups (more or less) of fresh, clean snow. But since ours was super light and airy, I brought in a little extra. 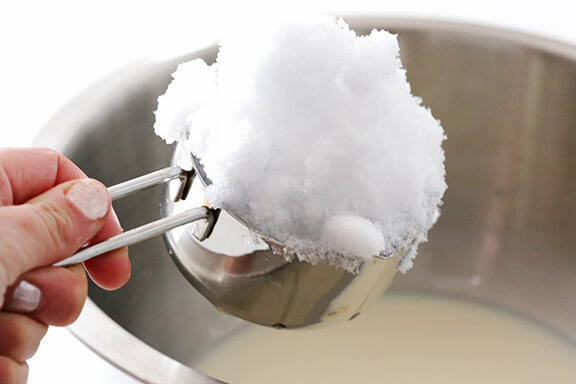 Immediately stir the snow into the milk mixture, and keep adding until an ice-cream-ish consistency is achieved. It should be fluffy and scoop-able, but not runny. But it melts really quickly, so dish it up right away. 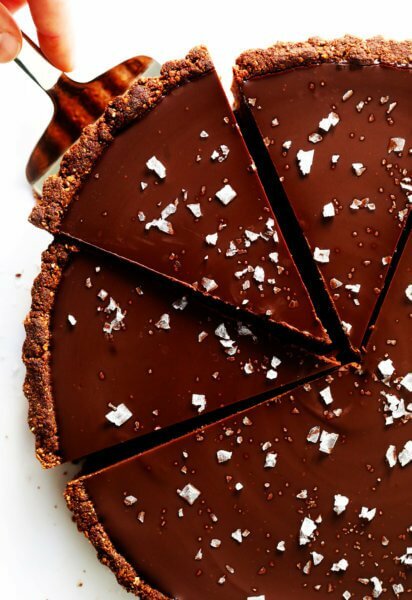 And get ready to dive in! 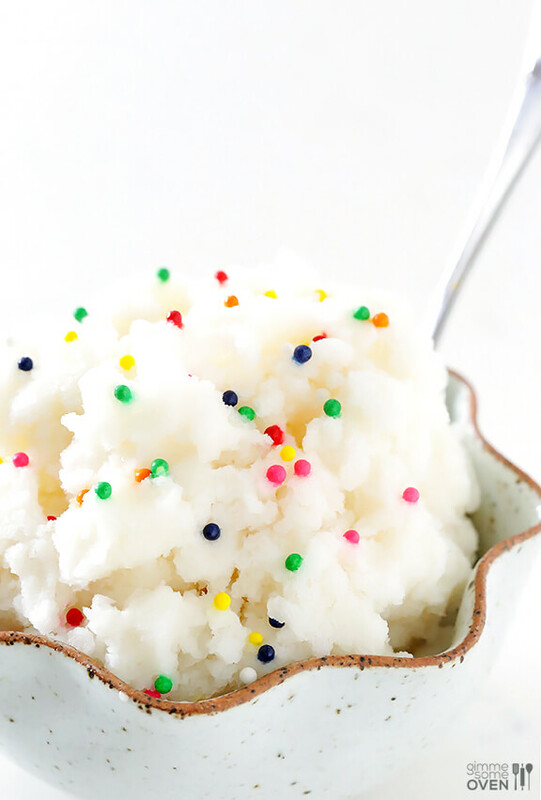 Top with sprinkles or other ice cream toppings if desired, and enjoy! 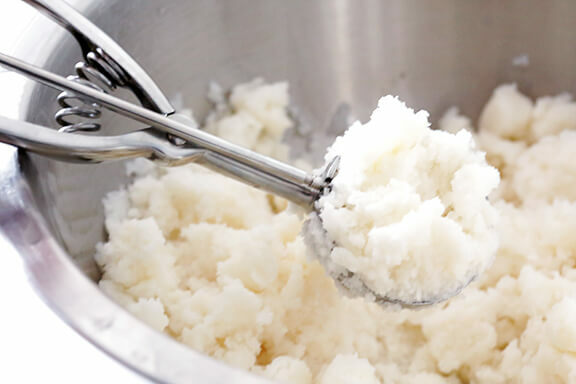 Pingback: Tis the season for homemade ice cream – WELCOME! 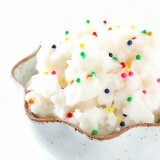 Very good snow cream! First time I’ve made it with evaporated milk instead of whipping cream. Thanks to the Blizzard of 2018 on the East coast USA, VA to be exact, 12″ of snow whooopeyyy! Try yogurt instead of milk mmm mmm oh so good! And if the yogurt is Vanilla you can skip the Vanilla Extract as well. Can I just grab some snow and mix it into my ice cream I already have I bought and just skip the other stuff? 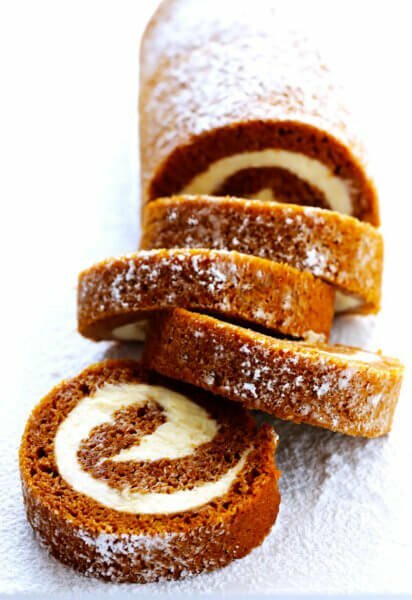 So easy and delicious!! Save this recipe for sure. I may have accidentally added double vanilla… And it was amazing. Mine always ends up runny no matter what I do and I follow what was written. However, what I do is I put it in the freezer for a few hours after I make it. 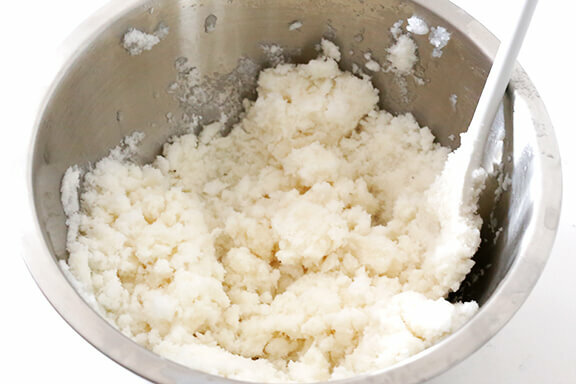 Then it comes out fluffy and looking like store bought ice cream. 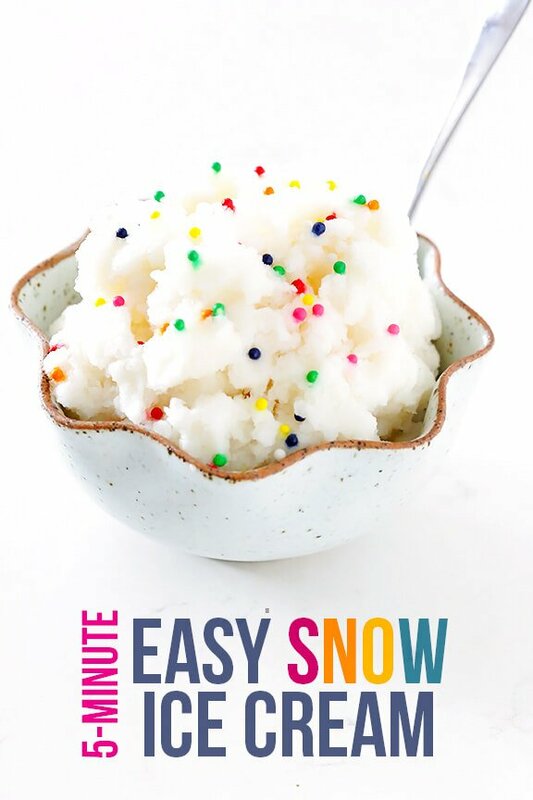 This was really good snow cream. Will definitely make again in the future. Thanks! 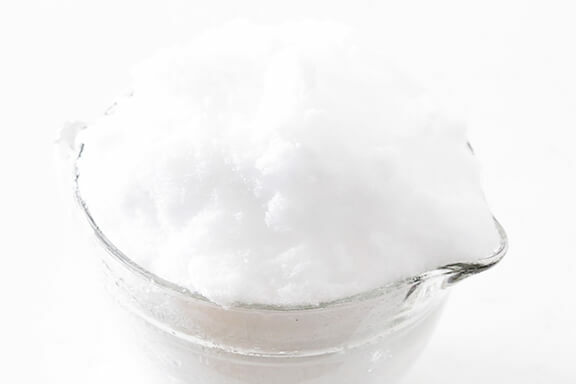 Milk, sugar and vanilla to taste the key to it no being runny? Make sure you keep adding snow. It’s supposed to be a little runny. 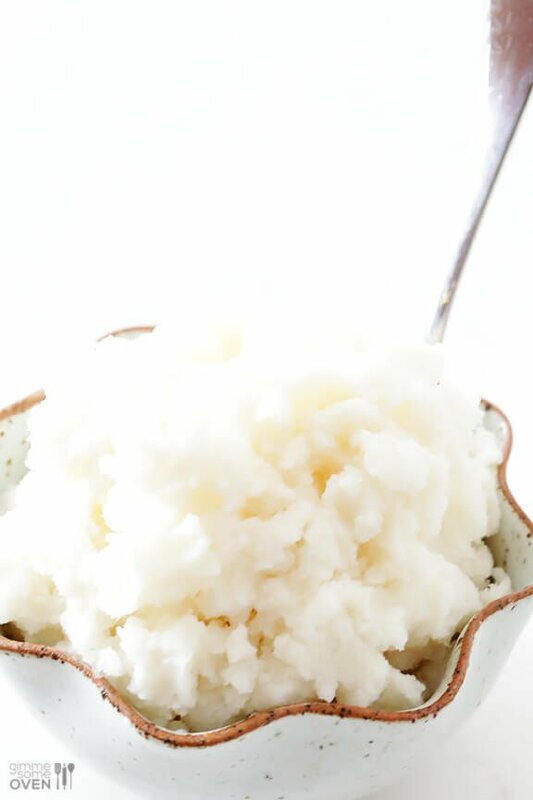 Should look and taste almost exactly like homemade vanilla ice cream. Hi so I used the recipe but I changed it a bit. instead of mixing the snow with the ingredients we put the ingredients in a plastic bag and the snow in a larger plastic bag with the salt( and we used a lot of salt). Then we played with the big baggie for 5-10 minutes. Shaking the bags till the milk was frozen. It was very sweet but delish. This way you don’t eat the snow and it still freezes the ice cream. Also it is science! This is adorable! My niece and nephew will love it. Can’t wait to make it with them! The Ice Cream was great! I will be using this recipe more often! My 4-year daughter was SO excited. Was delicious, easy, and fun. If we have snow on March 21 might as well enjoy a sweet treat. First big snow in KC and this capped off our day. We added strawberries for added yummy flavor!! Super easy! I used half and half instead of milk for rich flavor. Yum! Needed more milk but pretty good! My 4 year old and I had a ball making this. Of course we had to have the sprinkles. 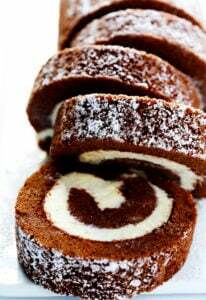 Great easy recipe for kids to follow. This was GREAT!!! We did it during the Seattle Snowpocalypse today and it was the best thing ever. Thank you!!!! Really yummy my mom had never made it and she loved it so so much.